Depending on the material, you might need a roof pitch of a certain angle. For example, thatch is sometimes used on new houses, and it typically demands an angle of 45 degrees. 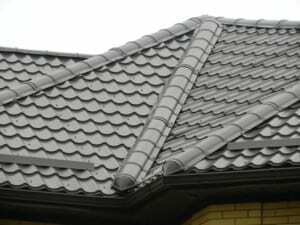 More modern options, such as architectural and metal shingles, as well as slate shingles, can offer a greater degree of freedom when it comes to the roof pitch. Some styles feature less elevated roofs, which is sometimes a preferred option for homeowners interested in a more classical and traditional approach to roof planning. Modern schools of architecture even consider adapting the roof angle to make for harmonious designs. Some architects will tell you that their preferred roof pitch is 51 degrees, even though the demands of planners might require a slightly modified angle, depending on the size of the roof. Typically, when building a home, you can select the pitch you want for your roof. However, depending on your house’s construction and the roofing materials you choose, it can also be easy to find a professional Denver roofer willing to provide you with a more flexible set of solutions.